The best in the business. 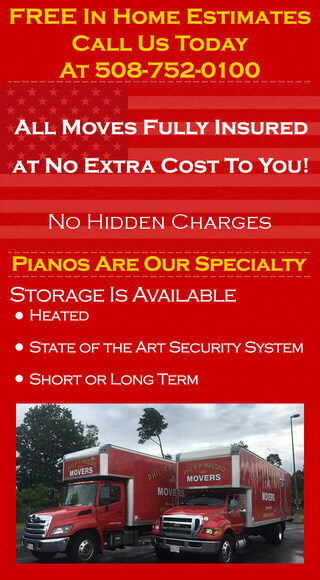 Philip P. Movers is a family owned and operated business with three generations and over 60 years of experience in the moving and storage industry. You will get professional service at a fair price. Completing over 1,000 jobs a year we are able to handle all sizes of jobs. A business built on strong values and customer oriented services. Over the years we have built our business on strong values and well trained, customer-oriented crew members. Your job will be handled with a professional and careful touch. All moves are fully insured. 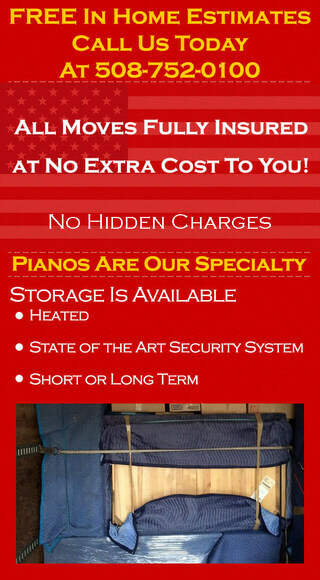 We have several years of moving and delivering pianos for M.Steinert and Sons in Worcester and Boston Massachusetts. 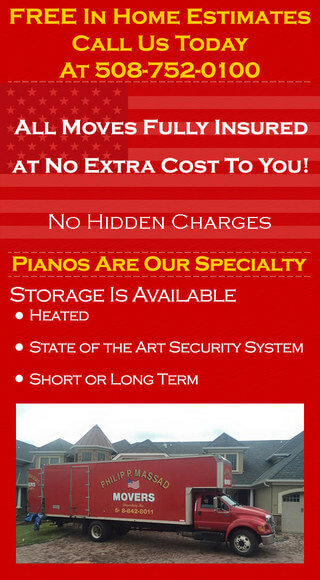 Put your trust in the business with over 60 years of experience in the moving industry. 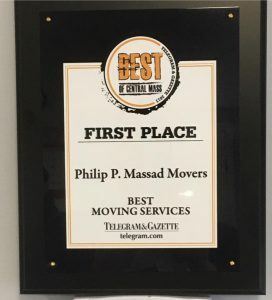 Philip P. Massad has all of your moving needs covered call us at 508-752-0100 today.